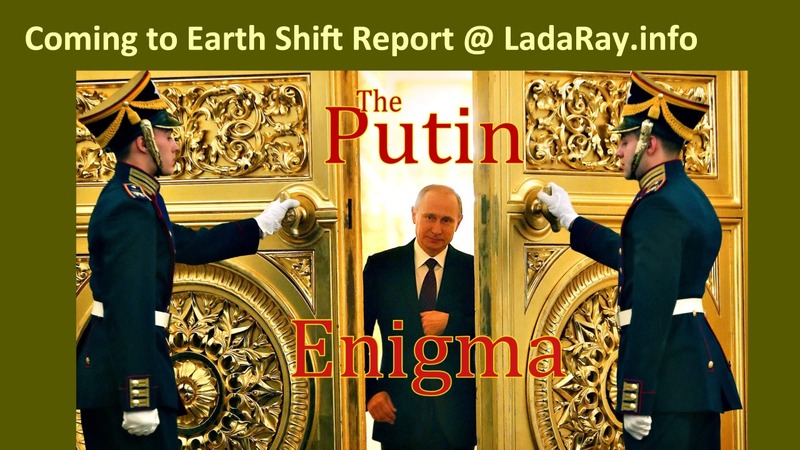 Dear readers, as you know, I have started a new and very promising PROJECT EARTH SHIFT and a new series of videos on Lada Ray Channel on YouTube. I just published two first videos and articles: 1. Universal Scale of Consciousness (life-diminishing calibrations) and 2. Universal Scale of Consciousness (life-affirming/ life-creating calibrations). Please make sure you watch my videos and read my articles as they will help you tremendously in understanding how the world in which we live works! This is a revolutionary and very important work. Please support it! Subscribe to Lada Ray on YouTube. Watch latest Project Earth Shift videos. Please remember to like and comment on my articles and videos! Latest updates from Moldova and Pridnestrovie will be posted here as they come up. Eventually, I may create a separate EARTH SHIFT REPORT about Moldova and Pridnestrovie on LadaRay.info (Remember this site! All future EARTH SHIFT REPORTS will appear there, and all present ones will be transferred to it eventually!). My original article, Battleground Moldova, together with analysis and predictions, appears below updates! Link: Igor Dodon, leader of Socialists – majority election winner – says: the first motion by Socialists in the new parliament will be to annul the harmful EU association agreement. Also, Socialists, Communists and CU Block are disputing election results in court due to the fact that 1/3 of Moldavian voters residing as guest workers in Russia were denied their constitutional right to vote. Dodon and others predicts social unrest in the country unless re-voting happens. At 4:38 – footage of the April, 2009 Kiev-style maidan in capital Kishinev, Moldova, in which then government of Vladimir Voronin (Moldavian version of Yanukovich) was overturned and pro-EU forces came to power. Later, the investigation revealed that violence and pogroms you are seeing on video footage above were executed by 200 militants that arrived from Romania. These 200 thugs turned out to be officers of Romanian special forces. Another 100 thugs arrived to Kishinev from Vinnitsa, central Ukraine, by personal order of then PM Yulia Tymoshenko (Ukraine Orange revolution leader together with CIA asset Viktor Yushenko). In today’s Ukraine, the agrarian Vinnitsa region in central Ukraine, boasts huge numbers of angry, under-educated and unemployed young men due to the county’s catastrophically ruined economy. Vinnitsa is one of the biggest viper’s nests and sources of violent ukro-nazis for the battalions that ship to Donbass in order to kill innocent civilians. During the bloody burning of people alive on Odessa’s Kulikovo Polie on May 2, 2014, 2,000 ukro-nazi thugs from Vinnitsa descended on the peaceful city of Odessa. They threatened local citizens and usurped the city. At midnight they conducted Hitler-style midnight torch marches, while screaming nazi slogans. Moldova 2009, just like Ukraine 2014, are both typical color revolutions, BOTH masterminded by CIA/US/EU and executed by especially trained international terrorists ready to kill and torture. On the other hand, pro-Customs Union Socialists received majority. However, not enough to form a government. Socialists were planning on forming a coalition with the Patria party of Renato Usaty, however, Patria party was banned from elections — illegal move by ruling pro-EU coalition consisting of 3 neo-liberal parties, designed to block Socialists from the possibility of forming a government. And their scheme succeeded as said 3 pro-EU parties, each of which trailed individually, together received just a few percentage points more than pro-CU forces. They will again form a government, leaving the majority party of Socialists in opposition together with Communists (just like before). Overall, as I say below in predictions, the situation between pro-EU and pro-CU forces is near equal, creating that uneasy equilibrium I talk about, which will persist. Read more in predictions below for a full picture. #moldovaelections First election results in! Pro-Russia and pro-Customs Union #Moldova socialists with leader #Dodon are in the lead. Communists, who used to be the No. 1 party in Moldova (read more about that below) are second. Three pro-EU neo-liberal parties that form present coalition government are trailing behind! Blatant disregard for citizens’ rights, and next to Ukraine, the most anti-democratic elections in recent history! Fresh info from Moscow: Moldova opened only one polling station for entire Moscow, where most of the 750,000 Moldavian guest workers in Russia reside. Video link – look what is happening at that polling station! 6 thousand people standing in line in the cold; Moscow authorities had to blockade and divert traffic on Kuznetsky Most – one of the central Moscow streets. 1000 policemen had to be brought in to maintain order – but people behaved very orderly, no scandals or disorderly behavior. Everyone in line is angry at Moldovan government for preventing them from voting. Only 5 polling stations were opened for the entire Russia. Meanwhile, in the EU, where less than 300,000 Moldavian workers reside, 125 polling stations were opened. According to this, earlier update from Moscow, 15,000 people gathered during the day by the Moldavian embassy on Kuznetsky Most in Moscow, trying to vote. The gathering turned into a real protest with people chanting ‘Rossiya’ (Russia) and demanding the right to vote. According to report, Moldova’s government allocated only 3,000 ballots to this (main) voting station!!! Video link. Eric is correct, the Moldovan pro-EU coalition government is using all kinds of ‘crooked tricks’ to hang on to power. He is also correct that if 750,000 voting age Moldavian guest workers residing in Russia (with their families in Moldova, well over 50% of the electorate) were allowed to exercise their democratic right to vote, they would have completely changed the Moldavian political landscape. The pro-Customs Union/pro-Russia forces would be guaranteed to win these elections. Moldova is the poorest and one of the smallest countries of Europe. Moldova is also a new geopolitical battleground. The November 30, 2014 Moldovan parliamentary elections promise to be the beginning of a shift. The pro-EU coalition government is doing everything to remain in power, dragging Moldova kicking and screaming into the EU, and into the absorption by Romania. The means used to hang on to power at all cost are openly anti-democratic and illegal. Meanwhile, according to various polls, the majority of Moldavians are pro-Customs Union with Russia. To many Moldavians this is the issue of livelihood and even life and death, in addition to any cultural preferences, traditions, and the Russian language many speak at home. In this regard, Moldavia is very much like Ukraine. It is literally a suicide for Moldova to cozy up to the EU when almost all of its trade is with Russia and other countries of the Customs Union and when 750,000 of its citizens are guest workers in Russia. These guest workers, who may be deported back to Moldova should it make further overtures towards the EU, add a huge chunk to Moldova’s GDP by sending their earnings home to support their families. 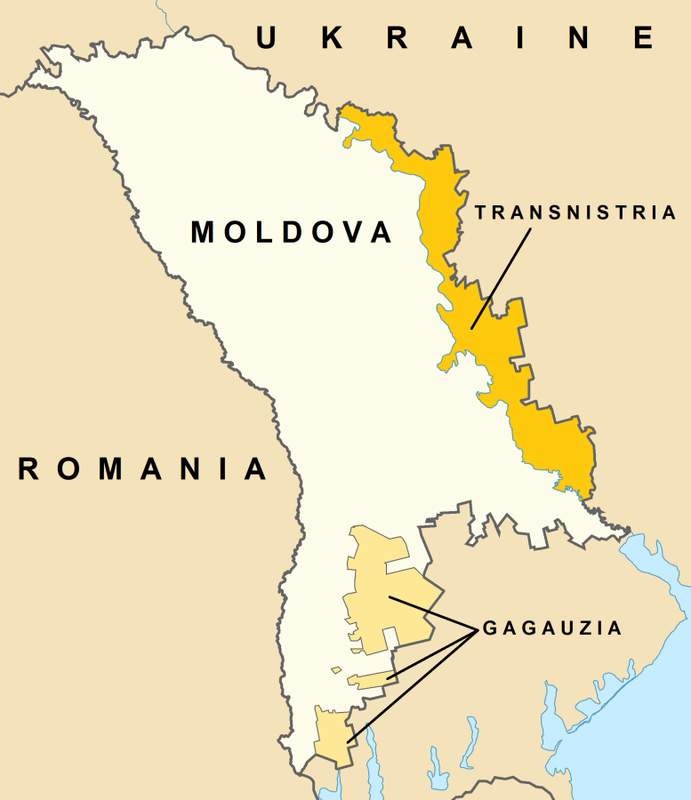 The most prosperous and industrialized part of then Moldavian Soviet Socialist Republic, Pridnestrovie (or Transnistria), has seceded in 1992 because the people wanted to keep speaking Russian. Another area of Moldova, the Gagauzia autonomy, recently had a referendum in which over 95% of the population also promised to secede and join Customs Union independently if Moldova keeps moving towards EU and away from Russia. The Russian-speaking north may also secede should the pro-EU momentum not be reversed. Knowing they are on shaky ground, current pro-EU government uses openly anti-democratic methods to stifle the voice of the people. The party Patria (Motherland) of Renato Usaty has just been banned from participating in the November 30 elections. The new coalition Moldova’s Choice – Customs Union isn’t allowed on TV and kept away from TV debates. In the info vacuum many citizens may not know what voting choices they have. The most egregious anti-democratic action of the Moldova’s government is the denial of the right to vote to the vast majority of Moldavians living and working in Russia. There are 750,000 Moldavians in Moscow and other cities. The government in Kishinev only agreed to open 5 polling stations with capacity of 4,000 voters each. This happened despite protests, polls and insistence by citizens and the Customs Union block, who demanded 200 polling station to satisfy the need. Obviously the authorities know they will definitely lose if all Moldovans working in Russia, who remain mass supporters of the shaky Moldavian economy and huge contributors to its GDP, are allowed to vote. According to Renato Usaty, leader of the banned Patria party, Moldova government is sending only 15,000 voting ballots to Russia, which means 735,000 voters are denied the right to vote. In the EU Moldova is opening 95 voting stations (with 300-350,000 Moldavians living there) vs. only 5 voting stations in Russia where 750,000 Moldavians reside. Further, according to Usaty, polls show that 3 pro-EU parties presently forming government coalition only get 35% of support: video link. This effectively means that the ruling coalition will not be able to hang on to power unless the democratic vote is manipulated. Moldova’s tide is turning. People of Moldova don’t want the violent Ukraine/ Donbass war scenario, but they also start seing that the path towards the EU is a suicide. Only the oligarchs and the ruling political class will benefit – the country at large will lose. As a result of these elections the new force, which is in favor of the Customs Union with Russia, will enter the parliament to serve as a counterweight to pro-EU coalition. I predict this new political force, including Socialists and those who side with them, such as Customs Union party of Topolnitsky and Gagauz Party of the Regions with Formuzal, will have a surprisingly good showing and will gain between 15% and 20% of votes. For most, it will be especially surprising considering the info blockade and blocking of the voters abroad. Communist Party, which is communist in name only, is the largest and oldest party in Moldova. Many vote for it specifically because they mistakenly think it’s pro-Russian. Same confusion happened with Yanukovich and Party of the Regions in Ukraine, until they showed their true colors. Communists, through their head Vladimir Voronin, have recently re-affirmed on public TV their pro-EU position. As I discussed in my earlier article and video (see links below), it appears Voronin has been threatened/ blackmailed by the West to toe the line. It appears the CIA presented Voronin with an undeniable proof of his son’s guilt in crimes committed in the US. Voronin Jr. resides in the USA. His daddy was told to support the EU integration of Moldova if he doesn’t want his son in jail. It also appears that Voronin’s substantial personal wealth allegedly stored in the EU and/or US-dependent offshores, was also threatened unless the Communist party expresses a pro-EU position. As I said, these are communists in name only. Voronin used to be the president of Moldova until mid-2000, when he was overturned in a very similar to Ukraine, albeit less violent, color revolution. He was replaced with the present pro-EU, pro-Romania (which in Moldavian terms means they are anti-Moldavian sovereignty) coalition of Western-educated neo-liberals. To this day, about 40% of voters still vote for communists. Each of the three pro-EU parties in power has between 10 and 20 percent of votes, but together they are able to have a slight majority, thus putting the direct majority communists in opposition. Communists still hold a lot of sway and can influence the vote. From this it is clear how important it was for the West to threaten and compromise Voronin. Voronin proved to be as weak and flimsy a leader as Yanukovich. He put his personal interests above the interests of his country. The result – as expected. As an afterthought, Voronin hopes to return one day as president of the country. It is very possible that by siding with pro-EU forces he is also positioning himself as a lesser evil. If pro-Russian forces can’t get the majority in the next several years, people may opt to vote for a lesser evil, Voronin – at least this is his thinking. In fact, Voronin isn’t a lesser evil. In order to return to presidency he is ready to sell out his country. Still, once in the parliament, the Customs Union Block together with other forces, such as Dodon and his Socialists, and certain Communists who’ll vote pro-Customs Union, will be able to serve as a good counterweight to the pro-EU coalition in power. The biggest obstacle the above-described pro-Customs Union forces have is that they are unable to agree on a coalition due to rivalry and mutual disagreements. Seemingly, socialists, communists and the Customs Union Block would make a natural alliance. But as it stands now, they blame each other for mistakes and inconsistencies, sometimes rightly. Taking advantage of these rivalries, pro-EU parties are able to push their agenda through almost without a hitch. Truly, united we stand, divided we fall. Food for thought for the pro-Customs Union forces of Moldova! Incidentally, banning Patria with Renato Usaty from running seems to be directed against Dodon and pro-Customs Union socialists, who were planning on forming a parliamentary coalition together with Usaty. All the above notwithstanding, there is a possibility of a loose coalition between anti-EU forces once election results become clear. After the elections it will be extremely important for the Customs Union Block to continue expanding their momentum and influence – this, in fact, is paramount for the success of the Pro-EAU movement in later elections. My advice: It would have been much better if Voronin stepped down as the leader of communists, since he is a compromised figure, thus stifling the development of his party and diluting voter trust. However, his lust for power won’t allow him to do the right thing, and no one in his party is likely to challenge his authority. Prediction: for the next couple of years, the compromised Voronin and communists will serve as a dead weight and a brake on the promising development of the pro-Customs Union/ pro-EAU forces in Moldova. Unless and until there is an internal revolution (literally) within the Communist party (which is unlikely so far), the best strategy for other pro-EAU forces is to take away as many votes from the communists as possible. Those who traditionally vote communist (and that’s about 40% of voters in the country!) need to be convinced that the future is with the Customs Union Block and with Socialists instead. These forces should also leave their differences behind and unite. Incidentally, the analysis and conclusions presented in this article is something you won’t hear in Moldova, nor from Western MSM, nor from Russian analysts. This article constitutes my original analysis and predictions based on my own info and observations. The above dynamics will establish an uneasy equilibrium in the country for a period. This equilibrium will last until more people start leaning and voting anti-EU. At that point the struggle between opposing forces will intensify and the game will change, likely becoming more violent. However, considering Moldavians are terrified of the violent Ukrainian scenario next door, there is a good probability the overt violence may be prevented. So far it’s been peaceful, at least physically. The political and social fights will continue being intense, dirty and gloves off. Moldova will be in an undecided state for a couple of years, until the scale is tipped irreversibly towards Eurasian Union. Incidentally, these two neighbors – Moldova and Ukraine – will look at each other and compare each other’s notes in regards to their decision to join the Customs Union, or rather Eurasian Union. The decision to join EAU will happen for both anywhere between 2016 and 2018, as I said in PREDICTIONS. For Moldova it will be around 2017 or 2018. Joining EAU is unavoidable. But it will only happen when USA is weakened sufficiently so it cannot dictate any more. Incidentally, joining EAU is the only way for the breakaway People’s Republic of Pridnestrovie (Transnistria) and Moldova to again become friends. 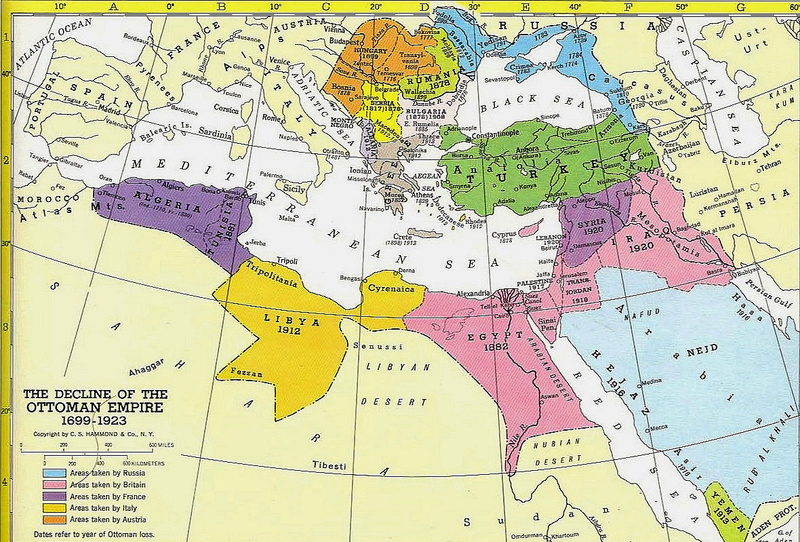 Some borders (including with Romania) may be revised as a result of all these processes. This will start happening towards the end of this decade and into the next. However, this may not be that big of an issue. It is likely that Romania, along with some other Eastern/Central European countries, in the next decade may become a member of Eurasian Union as well – at least an associate member. Moldova is a small country in the south-western part of the post-Soviet space, just west of Odessa, populated with simple and friendly people. 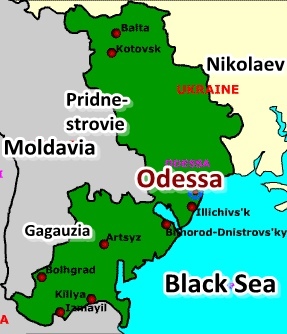 I grew up in Odessa, while my relatives lived in Bendery (now the de-facto independent Pridnestrovie) and Kishinev (the capital of Moldova), therefore I am intimately familiar with those parts. Moldova is considered the poorest country of Europe. Out of 3.6 mln population 1 million works abroad; 700,000 or more of these, in Russia. 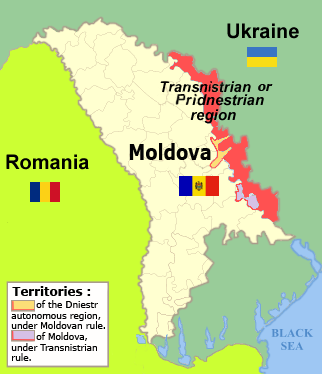 In 1991-93 the wealthiest and most industrialized part of then Moldova (aka, Moldavia), Pridnestrovie: full name Pridnestrovskaya Moldavskaya Respublica, or PMR (Western name: Transnistria), seceded after Kishinev Moldovan government announced they wanted to become a part of Romania. Back in 1993, after a short but brutal war, Russian peacekeeping contingent was stationed in Pridnestrovie based on the official UN mandate, and only that stopped the civil war. Should the Donbass people today be so lucky, the Russian peacekeeping contingent would have stopped today’s war in Donbass as well. But ever since 1993, the UN fell completely under the US thumb, so this is not an option at this time for the long-suffering E.Ukraine (Novorossia). However, just a heads up – my intel says that this may eventually change! Soon, I will have a new free EARTH SHIFT Report 2: The Roots of Anti-Russian Hatred in Ukraine, which will go into more detail about how it worked.